Steven Klein is one of my favorite photographers and film directors. As all of you must know by now I am huge fan of the avant-garde and the experimental and Steven Klein exemplifies the kind of artist and film maker that I hope to be one day. In all of his works Mr. Klein manages to combine to both high and low art in order to create commercially viable product endorsements such as the video below which is a advertisement for Lady Gaga's Eau de Perfume Fame. Mr. Klein's advertisement has been met with critical acclaim as John Farris from The Anarchist Review points out, "FAME is what Dali/Bunuel's Un Chien Andalou was to the late 1920's, a work of surrealism in which contemporary society is mirrored; a work rooted in the unconscious, and what is FAME actually saying to us in 2012? It is a depiction of the interior world of a celebrity and that fine line of a crack in the golden bowel of their existence. Everyone wants instant fame now and no one needs a particular talent, only a platform to appear. FAME, luxury, sexuality, death: all are the themes of the film, and isolation: for a Star lives a life confined to the work, to the constant publicity, the invasion of privacy, the lure of being Number One and the fear of being Number Two or even less. FAME is about numbers and how much do we get and how much do we give up to be famous. Klein has envisioned a world that could be out of science fiction. Visually he is stating that FAME is concurrent with Artifice. And that the mirror that a Star gazes into is a dark mirror, the void of the Soul, the void of Celebrityhood. Klein is working in the language of symbols. Gaga becomes a statue and thus an icon must be in a frozen status in order to exist, no room for aging, for that be organic matter. FAME rivets as a film and is alluring but the message underneath is chilling. Gaga in her final close up (both beautiful and compelling) is aghast and frightened at the world she has entered, the world of FAME." 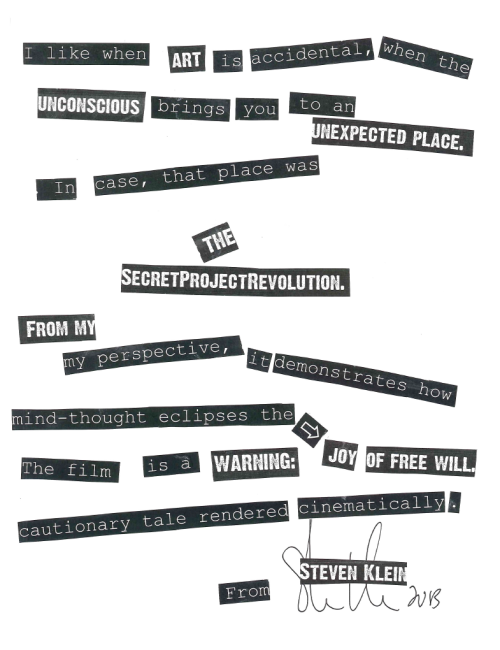 Another project that Mr. Klein worked on with Madonna is called SecretProjectRevolution and below is it's manifesto. Also here is the seventeen minute short film. I recommend watching it. This film demonstrates yet another reason why I resonate with Mr. Klein's work. Within the film Madonna lays out her ideas for what it will take for us to live as a true global community we need to actively seek to break down labels that break us apart from each other. Mr. Klein's role in this message is seen through the lens of the manifesto seen above. Klein lays bare that his role as the maker of the film was to create situations in which the viewers unconscious prejudices and thoughts can be dissected and mulled over by the viewer themselves. For his intelligence and innovate ideas of film making, Mr. Steven Klein will always have a special place in my heart as a film maker. YOOUUU'RRREEE OUTTA HERE! 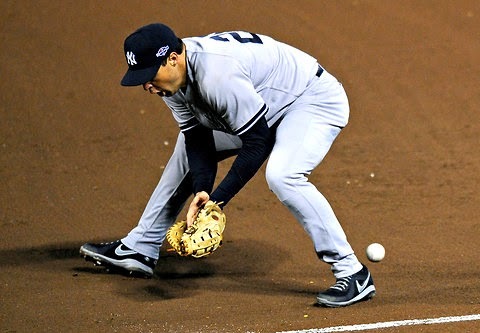 How new video technology is ruining America's Pastime. When I got to the gym late Tuesday night, I managed to catch the last half of the sixth game of the World Series. I watched as San Fransisco shortstop, Brandon Crawford, threw a runner out at first in the bottom of the sixth inning. There was no doubt as to whether or not the umpire made the right call, however, the out was then replayed in slow motion from three different angles. First we saw the play from an angle behind the shortstop, then in slow motion from an angle looking down the first base line, and, for no apparent reason, an angle looking up from the ground at the play happening above it. By the time the three minutes of unnecessary shots was over, I was bored with the game and ready to change the channel. As well as slowing down an already slow-moving game, camera and special effects technology makes the work of an umpire much more difficult. Editors are able to create a virtual strike zone on footage recorded from previous innings in order to analyze how the pitcher has been throwing the ball. Though this is helpful in analyzing the pitches, it also points out any errors that the umpire has made to the viewers. 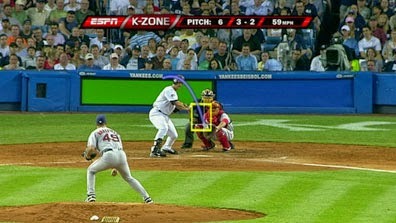 A pitch even a centimeter outside of the strike zone is easy to see with this animation. I have been an umpire for my local Little League for the past five years, and it is a very stressful job. You have to constantly be aware of the ball, the players, the coaches, and even the fans. Sometimes, even though you are at least 20 years younger than most of the parents and coaches present, they will yell and scream at you if they don’t think you made the right call. Imagine being an umpire in major league baseball. These MLB players play baseball for a living. They are depending on the umpire to always make the right call. Millions of Americans are also relying on the umpire to ensure that their team will win. This job is more stressful than playing out on the field, for if you make a bad call, there is a good chance that most of America will hate you. This new technology makes the work of umpires much more difficult. For now with slow motion cameras and an animated strike zone, we can see any errors that the umpires may make, no matter how small. They are open to ridicule from a large number of people with little or no experience officiating, or even playing, the sport. 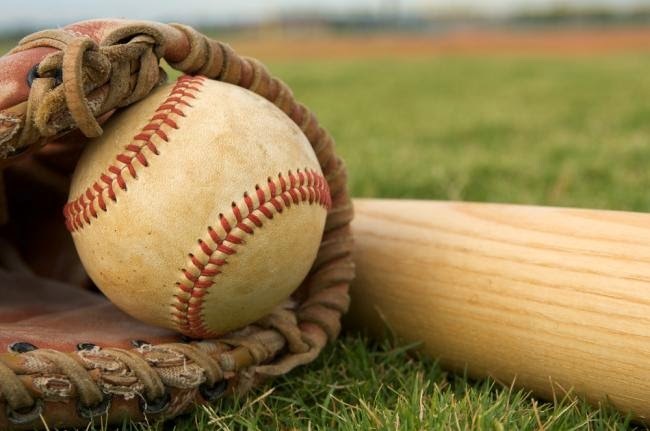 The whole game of baseball is based upon errors. When a pitcher throws a less than perfect pitch, the batter gets a ball. When a batter swings and misses the ball, he gets a strike. There is even an “Error” statistic which keeps track of how many times a player drops or misses a fielded ball. These errors make the game of baseball thrilling and exciting. Though we have created new technology to ensure that every play is called perfectly, that is not the point of baseball. By creating this system where we can see everything that goes wrong, we make the umpires’ jobs more difficult and take away the excitement of the game. I wanted to do something Halloweeny but I don't really like "scary" movies, so I ended up with this. Sorry I couldn't be more festive, haha. Either you have seen this or you are staring at this post thinking "what the hell is this?". For those of you in the later group I will elaborate. Back in 2008, there was the famous Writer's Guild of America Strike in Hollywood. The strike was because writers wanted to get better pay in comparison to what the studios were getting for their work. The strike lasted 14 weeks and almost nothing came out during that period. Except for Doctor Horrible. 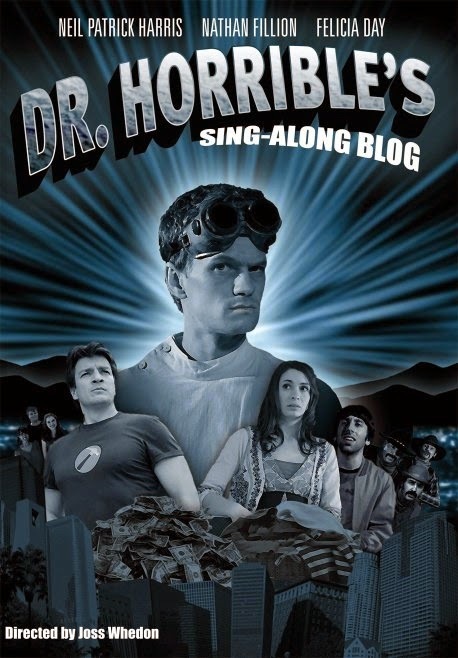 Doctor Horrible's Sing-Along Blog was written by Joss Whedon (Avengers, Buffy the Vampire Slayer), Zack Whedon (Fringe), spouses Jed Whedon and Maurissa Thancharoen (Dollhouse, Marvel's Agents of Shield). The family wanted to create something "small and inexpensive, yet professionally done, in a way that would circumvent the issues that were being protested during the strike." The project, funded by Joss Whedon, only cost about $200,000. It premiered online as a web miniseries in three acts. It was a big success and has made more than it's small budget back in DVD/Blu-ray and iTunes sales. It was also well received by critics and has won serveal awards including an Emmy, Hugo Award, People's Choice Award, and several Streamys. Time magazine slotted it at #15 of their top 50 Innovations of 2008. The entire run time of all three acts together is only 42 minutes. The story follows Dr. Horrible, (Neil Patrick Harris) a super villain who desperate to join a club of other super villains called "The Evil League of Evil" so he can impresses Penny (Felica Day) whom he's in love with. His plans are thwarted when Penny becomes romantically involved with superhero Captain Hammer (Nathan Fillion), Horrible's arch nemeses. The film is not only interesting because of the historical events in Hollywood at the time of it's release, but it is also extremely well done and just plan a lots of fun. I would highly recommend anyone who hasn't seen it should check it out! The horror films produced by Universal in the 1930s left an indelible mark on the history of popular American film. Frankenstein, Dracula, the Mummy and others remain in the cultural zeitgeist to this day and are chiefly responsible for helping Universal become one of the largest movie studios in the world. Although monster films existed before the 1930s (with Murneau's Nosferatu being released in 1922), the genre made great strides in popularity following 1931's Dracula, starring Bela Lugosi in his most famous role. 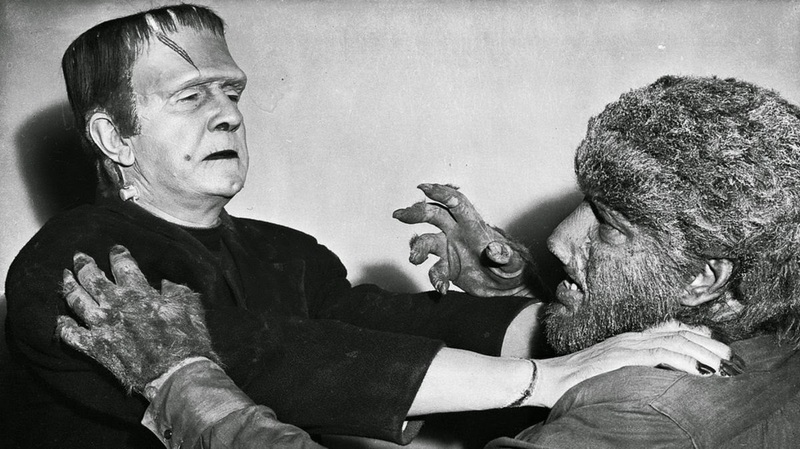 Universal followed that film up with Frankenstein, an adaptation of a story that had been around since the 1820s. Both films achieved great success at the box office, and their characters became part of our culture. Lugosi, The Wolf Man star Lon Chaney, and Frankenstein star Boris Karloff became some of the most famous actors of the day. Universal's success with monster movies over the next couple of decades positioned the studio as one of the titans of the industry. Although the studio had been around since the days of silent film, and in fact came to prominence with several pre-Jazz Singer hits, it was the horror hits of the early 1930's that allowed the studio to branch out into other genres. The studio's success with horror continued with Creature from the Black Lagoon, whose titular monster is considered one of the class Universal Monsters. Universal horror films changed the path of popular American film greatly, as they set the standard for all horror films to follow. Several classic films of later decades have sprung out of the tradition set by these films; one of the funniest movies of all time, Young Frankenstein, is entirely built around the tropes of the Universal films. 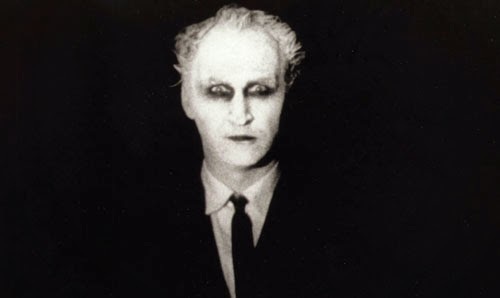 Two years ago, the AV Club published a guide to Universal monster films, which comes in handy every Halloween: http://www.avclub.com/article/a-guide-to-the-universal-studios-monster-movies-19-87883. Every year the closer we get to Halloween, the more excited I get. The reason being is that I get to watch all the horribly made scary Halloween themed movies out there. Growing up in my family, this was a tradition. When I was younger I mainly watch ABC's 13 nights of Halloween, as well as Disney's corny Halloween movies. I'd have to say one of my most watched movie series were the Halloweentown series on Disney Channel. They were the best, unfortunately the fourth installment had a new actress playing the main lead, Marnie Piper. Although they were good, corny Halloween movies, they were not my favorite. 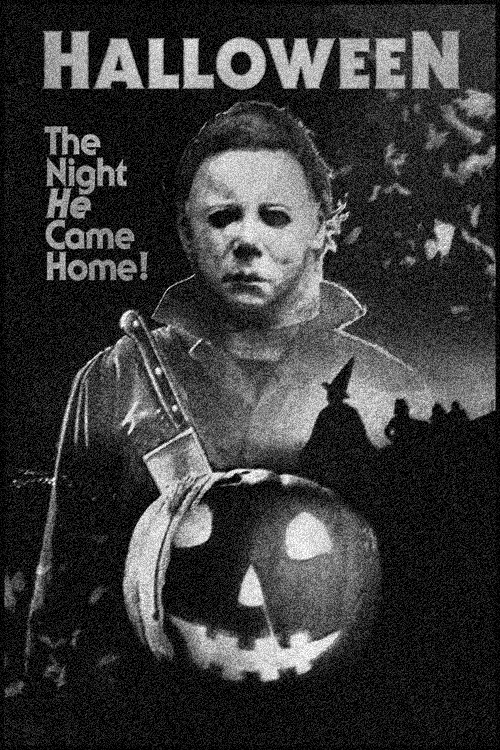 My favorite Halloween film series would have to be Halloween produced by John Carpenter. 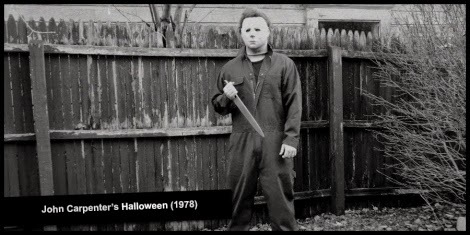 Say hello to the big and scary Michael Myers in 1978. The first film made it's debut in 1978 starring Jamie Lee Curtis, followed by seven installments, and two remakes. 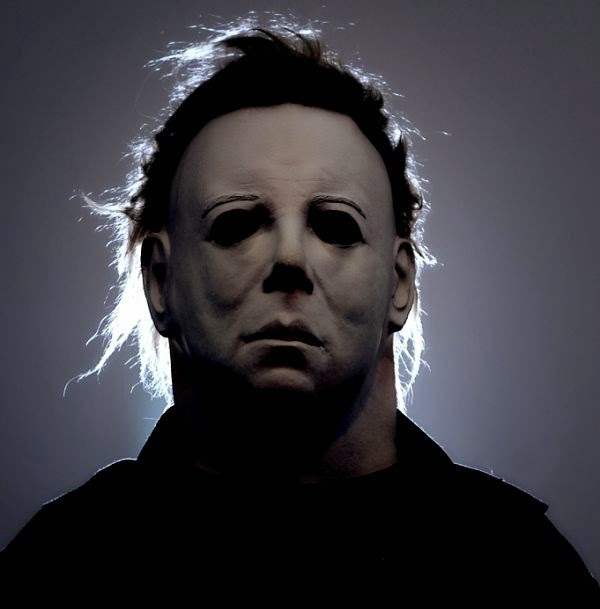 The first film opens up with 6 year old Michael stabbing his sister. Since the age of six he has been committed to an insane aslyum for life. Fifteen years later he breaks out and starts to stalk local high school student, Laurie Strode. Over the course of the film the main story focuses on Laurie and her fear of being stalked. The other story of the film focuses on Michael's psychiatrist and his pursuit to find Michael. On the final night in the movie, Laurie is babysitting one of the kids in her neighborhood, Tommy Doyle. Laurie's best friend is also babysitting across the street. We see Michael lurking in the neighborhood, and eventually he kills Laurie's best friend, Annie. He then kills Laurie's other friend, Lynda. Finally Michael makes it into the house Laurie is in. After her stabbing Michael in the chest multiple times, he somehow still lives and keeps attacking her, finally his psychiatrist comes in shooting him, making him fall off the two story balcony. When Laurie and the psychiatrist look over the balcony, Michael is missing. Now don't get me wrong, these movies are some of my favorites, the best to watch around the Halloween season. However there are some things that I have notice, and tick me off a little. For starters, why can't Michael ever die? We see him get stabbed multiple times, he has gotten shot too many times to count, and at one point his full body catches on fire. I wish the story would establish, is he some kind of monster who can't die? Because he is simply human, which I'm assuming he is being that he was six years old and grew up like any other child, that is not humanely possible. No human can get stabbed in the chest, neck, back, shot, set on fire, and be completely okay without medical care. Another thing that bothered me is that they never really established a solid reason for Michael originally killing his sister. And after they have have the psychiatrist describe his time with Michael, his diagnoses is: "He's purely evil." I'm sorry I do not buy it. The reason is not strong enough. There must be some kind of explanation. For example does he have some kind of mental illness? They state that he's simply insane, but how did he become insane? Another thing I questioned was, does he have some vendetta against people? Why did he start stalking Laurie? What significance did Laurie have to Michael? Did he just pick the first person he saw? Maybe I'm just being picky, but these little things do count for something. They help people understand the story more. But then again, the average viewer is probably just going to see this movie to get scared and see the gory scenes. Where as a film student like myself, I'm questioning the small details, the details that someone else might find insignificant. OK, How'd They Do It? The band OK Go is known to have some crazy music videos that really go above and beyond but in their latest video the band goes even further. The video directed by Morihiro Harano starts in a studio as the members of the band ride these little machines called UNI-CUB's. We dolly out of the studio and into the streets surrounded by bright and colorful buildings and out of nowhere the camera flies up into the air. 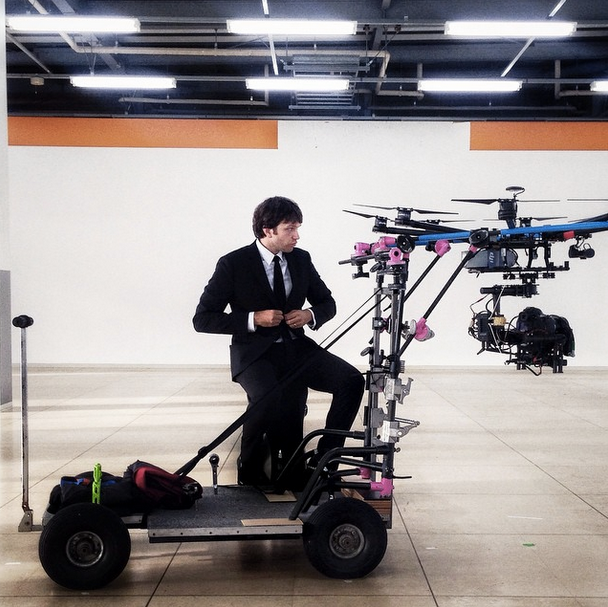 The camera was attached to a drone that was then attached to a dolly and the camera continues to soar into the air. Below the members are joined by dancers with umbrellas and the camera shoots back down. It locks back into place on the dolly and continues rolling down the street. And just like that the camera goes up again, but this time it doesn't come back down. The band is joined with now hundreds of dancers and we keep flying up and up. The crowd shapes forms with their umbrellas even spell out words as the camera flies over a half a mile into the air. To think how long it took to block the whole shot and to then get the choreography down perfectly is mind boggling. Check out the video below! Happy Halloween, everyone! Once again, we are nearing the end of what many film lovers affectionately call "Horror month." A time for catching up on genre classics both old and new, the month often provides a number of opportunities for adventurous viewing. Schoolwork has limited my movie intake this year, but I was able to land a handful of fun ones including The Evil Dead and Hellraiser (which is more bloody and gross than fun, but you know what I mean). While I'm in the festive mood, I'll take this week's blog post as an opportunity to share my thoughts on a few of the best chillers, screamers and blood-curdlers out there. We all know the reputation of such films as Psycho, The Shining, Halloween and The Texas Chainsaw Massacre, so there's no use in trying to add to their legend. Instead, I'll be presenting some of the lesser-known greats that deserve to stand toe-to-toe with the more established masterworks. ...get ready to have this guy haunt your dreams. Coupling disturbing imagery with Bergman's trademark existential angst, the film is both frightening and fascinating- a rare mix. I want to study it just as much as I want to turn away from its horrific sequences. 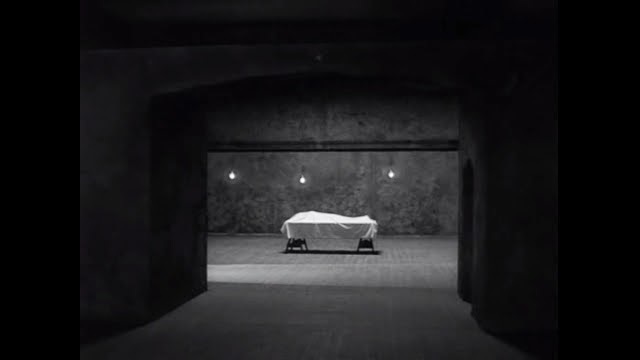 It isn't Bergman's finest hour (In my opinion, that would be Persona), but it is brilliant nonetheless. 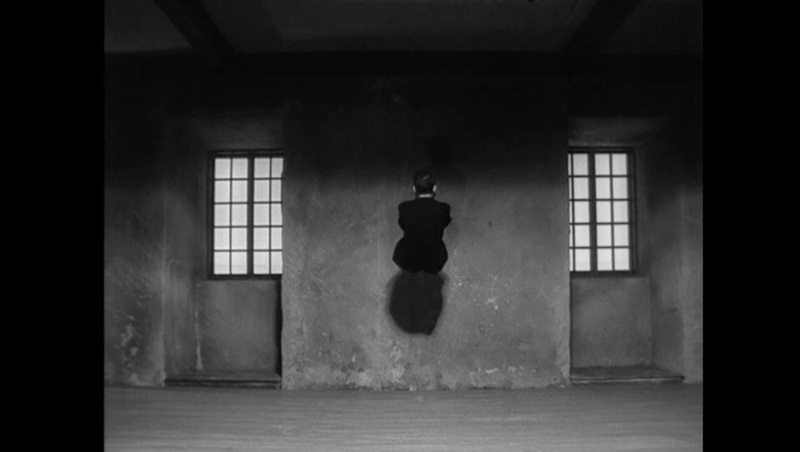 Last but certainly not least is one of my favorite films of all time: Kwaidan. Masaki Kobayashi's masterfully-paced film is an anthology covering four stories based on tales from Japanese folklore. The horror is mostly subtle in this one, so while it might not be as "scary" as the other two films mentioned, its storytelling ability is the strongest. Because it is difficult to talk about the film as a whole without highlighting each section, here are some brief summaries (with screenshots, of course!). THE BLACK HAIR - A poor swordsman abandons his wife despite her pleas to attain greater social status with a woman of a wealthy family. He is sick of the impoverished existence and seeks a higher quality of life at the risk of losing the one solid relationship he has. Higher social status is indeed attained, but the swordsman's mind often drifts back to his wife, especially since the woman he married has revealed herself to be cold and unloving. He decides to return home, but will his wife still be there and can things ever go back to the way they were? 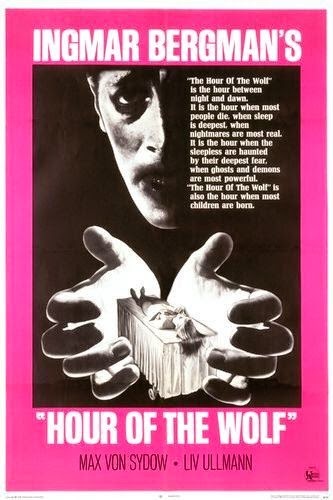 A great opening tale with a startling final trick that effectively sets the tone for the rest of the film. THE WOMAN OF THE SNOW - A woodcutter has a ghostly encounter with a lethal spirit one stormy winter night and makes a pact with it: The woman promises to spare his life if he agrees to never tell a soul about what he witnessed that evening. The man takes the agreement and time passes. Spring comes and then summer. He marries a lovely woman who is new to the area and all seems well, but he cannot shake the memories of that fateful night and begins to question if it really happened and if he should go ahead and tell his sweetheart about it. I'll leave it there, because it gets very interesting after that. Though it's hard to choose, this might be my favorite of the four. It unravels slowly, like a campfire yarn and next to the tale that follows it, the segment contains some of the film's most striking compositions. IN A CUP OF TEA - A writer sees a face in his cup of tea. He dumps and refills the cup several times only to find the face sporting the same bizarre smirk each time. 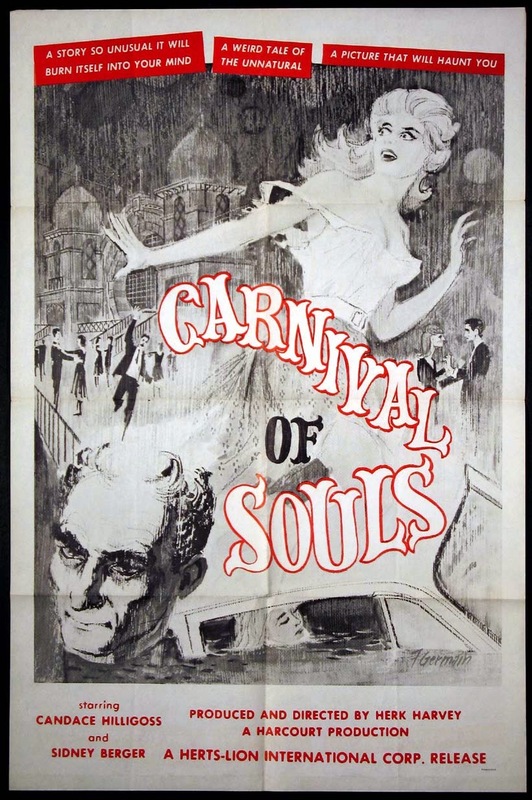 Upset by this encounter, he finds himself being confronted by a trio of supernaturally-endowed assassins later that night. It's probably the most cursory of the four stories, but still entertainingly executed and impeccably crafted. 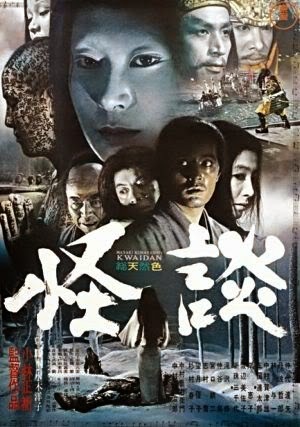 The most expensive production in Japan's cinematic history at the time of release, Kwaidan is grandly envisioned and thoroughly chilling in each of its four conclusions (as well as in the conclusion of its framing story, which took me completely off guard). I've taken up too much blog-space already with this film, so I figure I should end it there. If you're looking for expansive, eerie and beautifully shot horror, look no further than this film. It is truly one of the best of the genre. Me: Oh I love Audrey Hepburn! Me: What’s your favorite movie she’s in? Her: Oh I’ve never seen any of her movies. Me: Oh…so why did you put all of these pictures on your blog? Me: Well you should watch this movie it’s really good. Her: Yeah I don’t really like watching things in black in white. Me: Then why do you post about them in your blog?!?! It was a very frustrating experience and when I looked at my other friend’s blogs I found the same things. Gifs and pictures from movies that they didn’t know and had no intention of watching. It made me angry at first and then I just felt sad, because they are going to miss out on so many amazing films. Tumblr is a world in which people can express themselves through other people’s expressions and I think its ruining movies. So many of my friends will post pictures from classic films and instead of thinking: “Wow this is a cool picture I should find out what this is and watch it” they think: “Wow this is cool, people are going to think I’m so cool and watch such cool movies”. I think this is what is keeping so many young people from diving into film: they can get all of this attention for liking interesting films without actually having to put in any energy. That’s not what films are for and that’s not what they are about. What if this was all you ever saw of "Breathless"? What would you think it was? Films are not a way to seem cool and unique, they are works of enormous effort that make huge statements, and they should be appreciated as such. This is the mentality a lot of young people have today. It is all about image, not actual knowledge or experience. What is most upsetting is that many of these people would love these films if they only took the time to immerse themselves in them. But when gifs and pictures are enough, there is no need to actually sit through a whole movie. This technology is made to share ideas and images of things that people love but instead it is allowing people to only care how films makes them appear not how films may influence their lives. Who knows if Marilyn Monroe even said this? 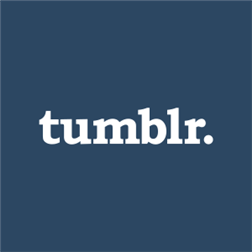 Does anyone on Tumblr care? NO! After I talked to my friend at great length about this she decided she would only post about things she had seen and that if she saw something she liked she would research it and watch it and as a result she has become really immersed in a lot of films and directors and has come to really love and appreciate film. I only hope other people can do the same, and we can have a lot more film lovers in the world. Quentin Tarantino is one of the most well-known and respected Hollywood filmmakers of our time. His series of popular movies have built him an empire of stylized filmmaking with a loyal and massive fan base. Tarantino is a director, producer, screenwriter, and actor. He has received two golden globe awards as well as two academy awards. His films such as "Reservoir Dogs," which is still considered by masses to be the best independent film released in the United States, exemplify his gunnies. Tarantino’s films are a collage of popular American and foreign cinematic styles. Tarantino has recently made public his contempt and distaste for the industry shifting from the conventional film to the more pragmatic and cost efficient digital medium of filming. 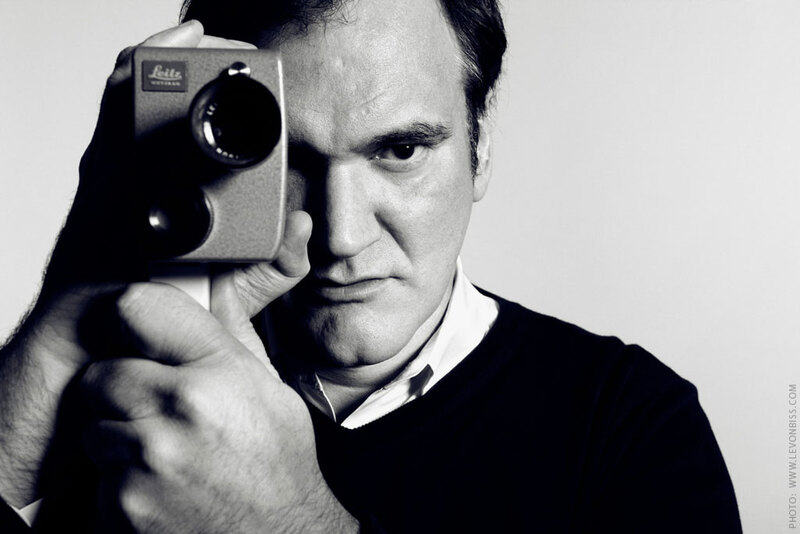 Tarantino believes shooting 35mm film is the heart of cinema. The filmmaker has stated that, “ … the cinema I knew is dead.” Although Tarantino agrees that digital filmmaking allows knew beginner, low budget filmmakers to make their own projects and has rapidly increased the quantity of content being released. But the issue there that he can’t seem to comprehend is why professional filmmakers are shooting on digital. 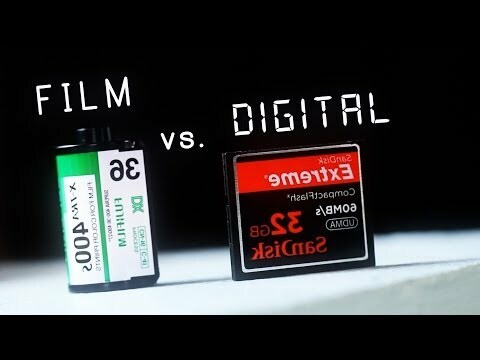 The filmmaker continues to stating the experience of 35mm films is completely different and much more aesthetically pleasing than digital. Other wise known as McGuffin or maguffin, a MacGuffin is a plot device that is usually given little or no narrative explanation. It can be in the form of a goal, desired object, or other kind of motivator, and can be either a person, object or place. Sometimes, you might not even notice what the MacGuffin is in a film, but it's always there, and it's the driving force behind the main character's actions in a film. Alfred Hitchcock is famous for using this term throughout his films. Vertigo: Carlotta Valdes' character never appears in the film, and her death isn't important at all to the audience. However, because she is apparently possessing Madeleie Elster, it starts the case for Scottie to investigate and drives the entire film's plot. Some also have noted that the necklace or Scottie's vertigo is also a MacGuffin. The 39 Steps: Mr. Memory's memorization of plans for an airplane engine. Rear Window: the "murder" committed by Lars Thorwald. Notorious: the uranium ore that is in all the vintage wine bottles. The Birds: the reason why the birds are attacking everyone. Psycho: the $40,000 in the envelope. Film and popular music are tied together inextricably, from the films of the 1940s that featured the singing stars of the day through Reservoir Dogs and up to Guardians of the Galaxy. Several of the most iconic uses of popular music in film come courtesy of John Hughes, a filmmaker who I admire. The example that I'm sure many will remember is the parade scene from Ferris Bueller's Day Off, which features both Wayne Newton's recording of "Danke Schoen" and the Beatles' covering the Isley Brothers' "Twist and Shout". The scene stands out as a great example of using popular music to develop a character: Ferris' larger-than-life performance situates him as the guy that everyone wants to be. We understand the kind of bombastic person that he is. Another example comes from Pretty in Pink, where Jon Cryer's character enters a record shop and dances to Otis Redding's "Try a Little Tenderness", in order to impress Molly Ringwald's character. The most iconic use of music in Hughes' filmography comes at the end of The Breakfast Club, which features Simple Minds' "Don't You (Forget About Me)". It's possible that no song and film are as tied together as these two. Rotten Tomatoes: Hot or Not? Angels, and Demons, and Ghosts! Oh my!